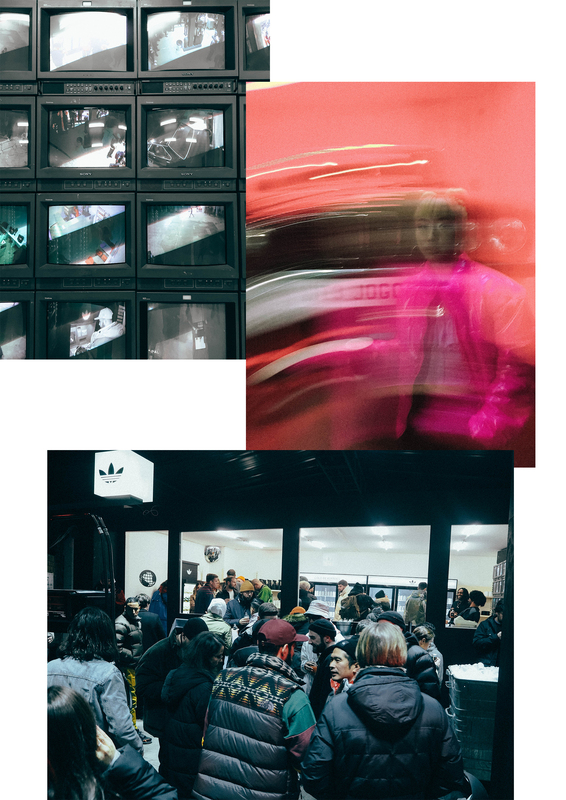 This week, we were fortunate enough to be invited down to Peckham, London, for adidas Originals Nite Jogger launch party. The late ‘70s runner was the brand’s first foray into hi-vis tech, and four decades on, the modernised silhouette retains its predecessor’s reflective abilities, whilst being energised with a new BOOST midsole. 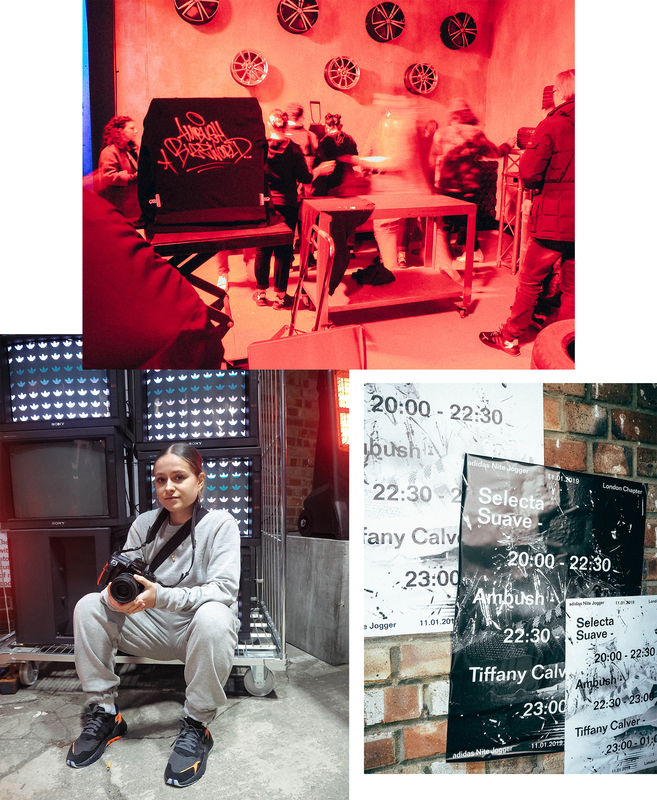 Hosted in an abandoned garage, the refurbished space provided a fitting environment for a trainer which has enjoyed its own renovation. 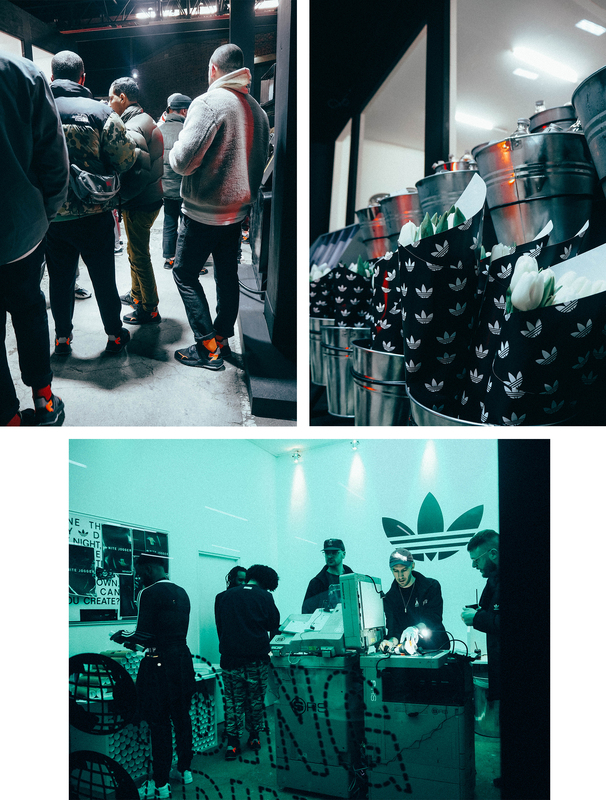 The event was brimming with detailed touches to make guests feel immersed; one of which came in the form of a Nite Jogger credit card, which could be spent on beverages and activities throughout the night. 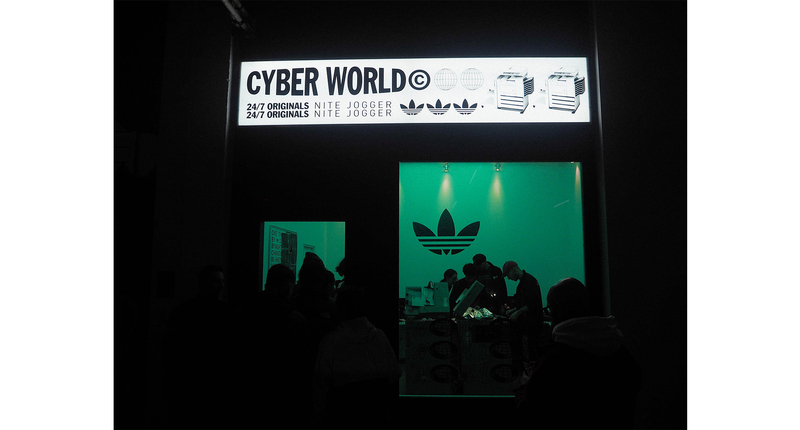 The space housed a CYBER WORLD 24/7 ORIGINALS Scanning Lab – where you could create your own custom prints using analogue photocopying techniques, a working darkroom with photographs being shot – developed and scanned on the spot, and a working Morley’s Chicken Shop. 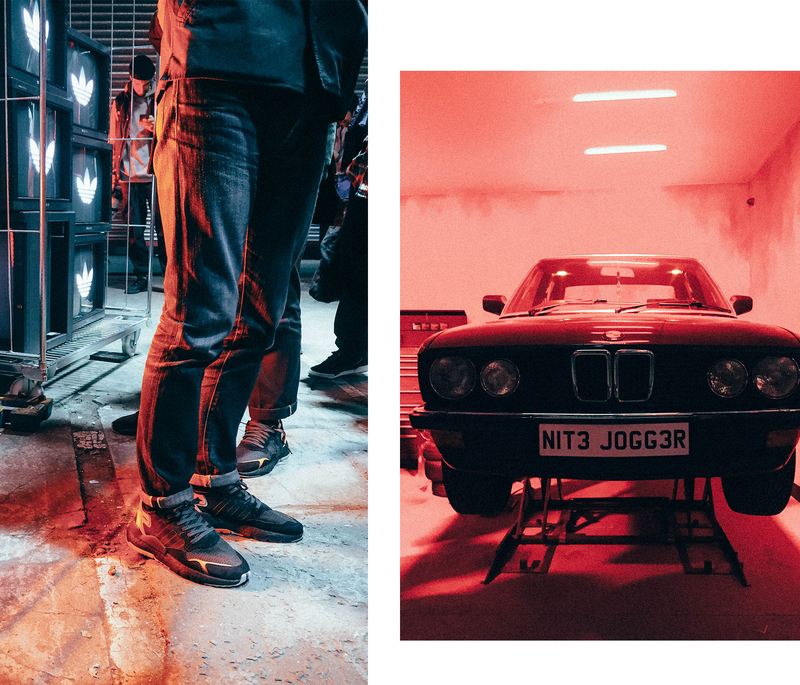 Crucially, the launch allowed us to take a closer look at the new release, and it didn’t disappoint. The shoe’s reflective fabrics make the shoe standout in low-light, further enhanced with popping accents of orange throughout. 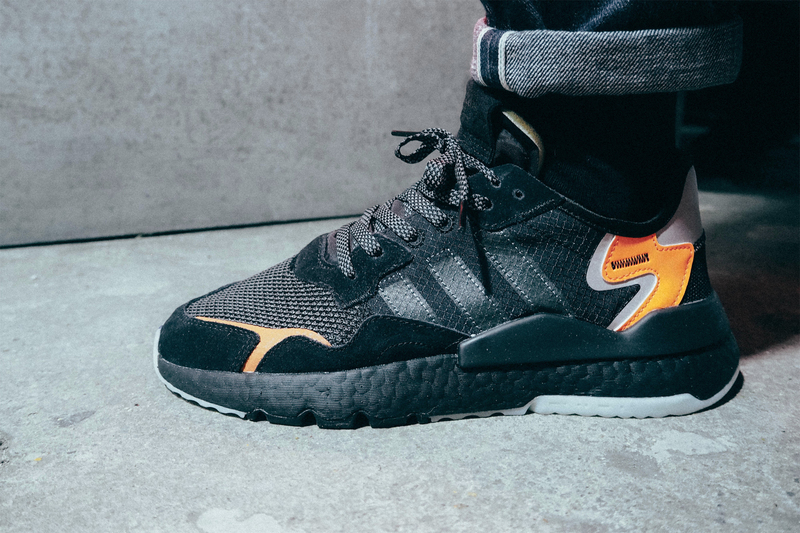 You can find the adidas Originals Nite Jogger online and in size? stores now, priced at £120.